Todays kitchens consume a lot of electricity. They are chock full of minor and major kitchen appliances, GFCI outlets, and dedicated lighting fixtures. In the design phase of kitchen design, Its important to consult the local electrical building code! Forethought and planning is crucial. The amount of electricity used in the modern kitchen at specific times surpasses any other area of the home. For example, when the stove, oven, and range are all in use use during meal preparation. After careful thought youll know if the project is just too big to take on, in which case youll want to consider a contractor. In that event, it may be helpful to research surety bond companies as you may wish to consider a performance bond. And how about your refrigerator? Its plugged in day and night. Anyone with kids in the home knows what a battle it is to keep the food cold and fresh. Theres much more to electrical service in your kitchen area than meets the eye. Lurking behind the scenes are dedicated electrical receptacles, many feet of Romex or nonmetallic (NM) cable, an assortment of kitchen lighting fixtures, a wide range of appliances, and much more. 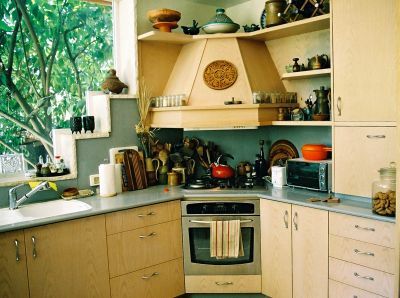 Are you considering remodeling your kitchen with any of these items? How about supplying power to a laundry room, workshop, or man cave? The kitchen demands a lot of light; its the site of food preparation and consumption. Not so long ago, family gathering and entertaining occurred in the family room or living room but more and more the modern kitchen is included with the advent of the great room and open kitchen architectural design. Track lighting: Track lighting is especially helpful. When the family chef is busy working his magic at the kitchen counter, his body casts a shadow on the work area from that central light fixture (see the picture above, click on it for a larger image). LED light bulbs or low voltage halogens are common with conventional or monorail track lighting because they focus the light exactly where needed. General purpose lighting: Most kitchens start with a fluorescent fixture somewhere close to the center of the room. Using daylight (color rendering index (CRI) of 100) fluorescent tubes give the overall kitchen a natural feel. Undercabinet lights: But what happens when the work area is under a wall-mounted kitchen cabinet? A good solution here is to install undercabinet lighting fixtures. Halogen light bulbs are the best choice. Can and pendant lights: These round-shaped lights perform a dual function; they focus on key points in the room and add character. Cove lights: These are usually mounted above kitchen wall cabinet units and point the light upwards. The ceiling reflects it back down into the room covering a wide area. Kitchen lighting switches should be strategically placed. The main light switches should be located at all entrances to the kitchen using 3-way light switches. These control the primary light fixtures. Common electrical building code designate putting all the kitchen lighting on a dedicated 15-amp circuit. The local building code handle the electrical outlets in the kitchen in a strict manner. For example, they usually dictate that the refrigerator is on a dedicated circuit. Its unlikely to trip the circuit breaker by itself in normal circumstances, but your food is a big investment and must be protected from spoiling. Also, the code often requires 2 separate circuits for countertop receptacles because of the large number of appliances that might be operating concurrently. Additionally, 1 GFCI outlet per circuit is required in spot that are likely to get wet. Its usually specified that these be placed on a 20-amp circuit. Major kitchen appliances like the the cooktop, oven, or electric range need a 120/240-volt circuit. 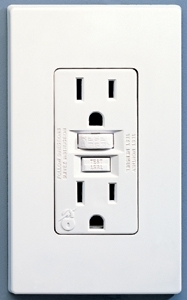 For smaller appliances that plug into outlets, install a 120-volt circuit. Almost all modern kitchens feature a garbage disposal unit beneath the sink. Route wiring from the disposal to a switch on the wall by the sink, close to or on the backsplash but far enough away that its convenient but wont get wet. Place the garbage disposal and the dishwasher on the same circuit. Its now easy to see why so much consideration should be given to electrical service in a new kitchen or when renovating an existing or vintage kitchen. And the cautious DIY remodeler will be prudent and over-install kitchen wiring. You just never know when that new must-have gadget will burst onto the scene. You should be able to do this remodel yourself. But if your local electrical building code requires a licensed electrician to sign off on it (and it most likely does), you will need to hire one. Find reliable contractors and doctors when you join Angies List today - Use promo code LOCAL to save 15%.